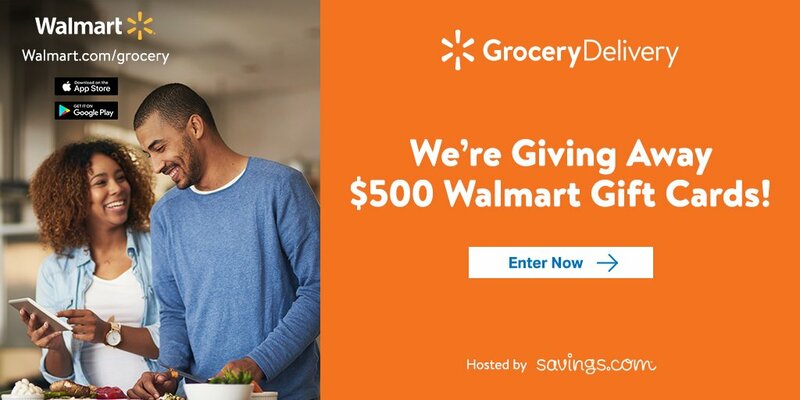 In wanting people to learn about and experience Walmart’s Grocery Delivery Program – they have teamed up with Savings.com to bring you this fabulous giveaway- the #WALMARTGROCERYDELIVERY GIVEAWAY and offer you free delivery* for your first three grocery deliveries with the promo/coupon code below. How cool is that?!? Giveaway runs Monday, December 3rd at 12:00 AM ET to Friday, December 7th at 11:59 PM ET. Enter the giveaway by heading to the Walmart page on Savings.com and submit your email address on the form at the top of the page. Winners will be chosen through a lottery drawing and notified on Monday (12/10) via the email address they used to enter. Much luck to you if you enter the giveaway. If you take advantage of their Grocery Delivery – please come back and tell us what your experience was like! Not standing in line to pay for groceries, a dream come true.